We talk a lot about the difference between fact and opinion. It’s important that you understand what your options are so that you can make informed decisions. Making informed choices for yourself in your labor is one of the key factors that will allow you to look back on your labor as being ‘positive and satisfactory’. These links have been selected for you as a starting point to educate yourself on some of the necessary choices you will make for your birth, your body and your baby. Evidence on: Induction or C-section for big baby? Check out the remarkable bond between the mother and her baby. 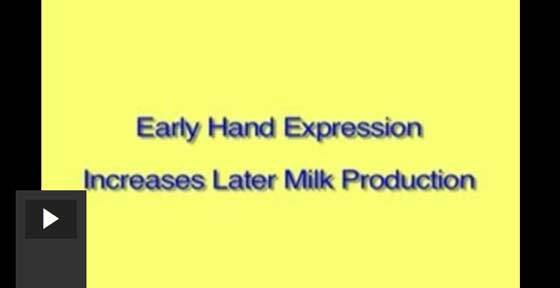 There are many benefits of knowing how to express milk from the breast without the use of expensive or cumbersome pumps. In this video, Dr. Jane Morton demonstrates how easily hand expression can be taught to mothers.